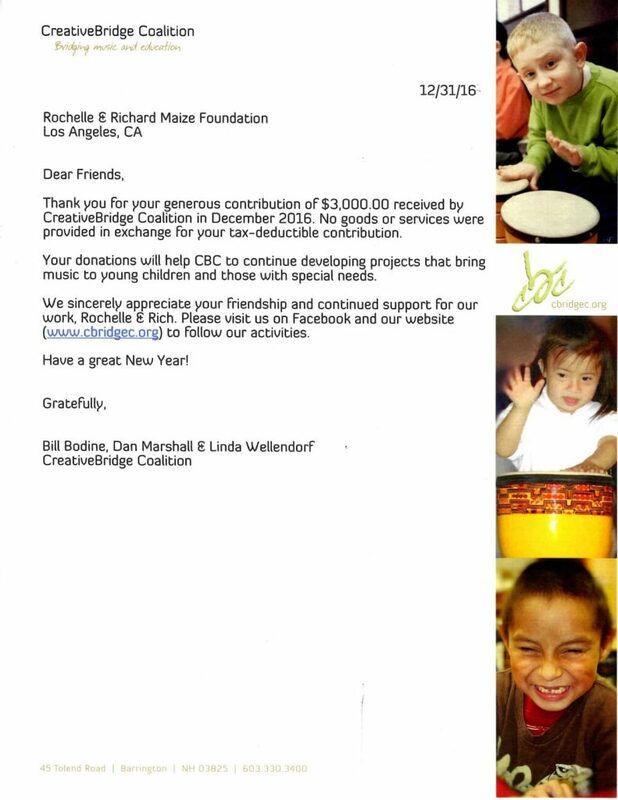 As many of you are aware The Maize Foundation has a long standing partnership with the Creative Bridge Coalition. To further our endeavors with their amazing efforts in schools the Maize Foundation wanted to make sure that they started 2017 with the funding they needed to make this year a success! The Maize Foundation made a contribution of $3000 to fund creative programs in schools for those with disabilities and we were more than happy to be able provide! Thank you for all that you do CBC! We can’t wait to see what this year has in store.